This conversation, as part seven in our weekly Nashville Quilt Project round-up, features Oasis Center client Amina. The Nashville Quilt Project is a 50-foot mural located on Charlotte Pike for which founders Jake and Hana Elliott, photographer Elizabeth Ratliff, and I partnered with four nonprofits to highlight their exceptional arts programming post-national budget cuts. 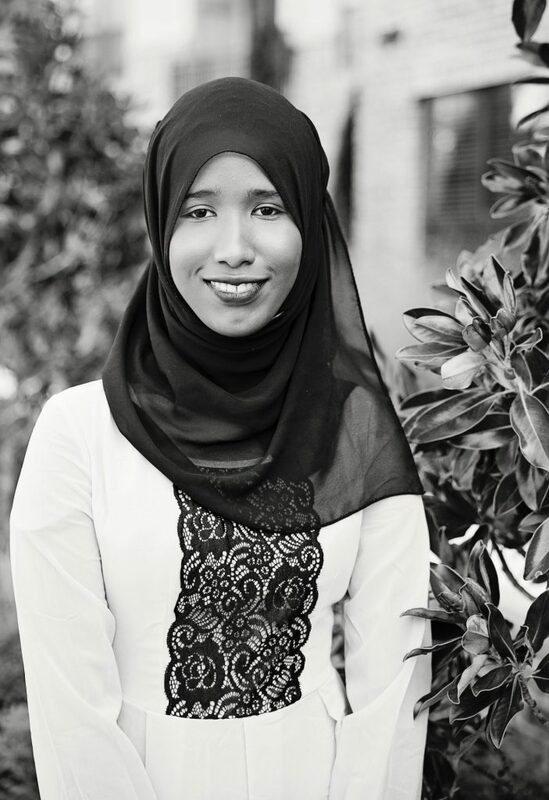 The 16-year old, originally from Somalia, speaks to her relationship with art and transition to the United States where she relocated two years ago. Energetic, outgoing, and opinionated, she came to Nashville to pursue her education. After arriving in town, she discovered the Oasis Center’s ITOP Program. As a member of the program she learned about all of the opportunities the Oasis Center provides including the Underground Art Studio. There, youth take workshops, learn from local artists, and express themselves through a multitude of disciplines. Through the program, she discovered drawing, which allows Amina to articulate her emotions, which she oftentimes finds difficult to describe in words. You’ve brought a lot of life to the Nashville Quilt Project party throughout the process. Most artists feels the same way. How did you discover the Oasis Center and its partnership with the Nashville Quilt Project? Amina: Through my friends in ITOP. One day, I walked in and signed up for the studio classes. Do you feel like an artist now? Amina: I’m not sure if I can draw well enough to consider myself a true artist. I have really high standards for myself and therefore, want to get each piece right. That’s so important to me. Amina: I am painting a flower and butterfly, which are translated to look like henna, a tattoo-like semipermanent drawing that Somalians put on their body as decoration. The flower represents love and how it always needs to two-sided rather than one. If love is unbalanced, then it cannot work. My butterfly is a symbol for peace. In my experience, Nashville represents love and peace. That’s beautiful. What does community mean to you? I like to maximize fun as well. When you look ahead into the future where do you see Amina? Amina: I don’t know where I’ll be living but I do know that I will be a cardiologist. Maybe I’ll move to New York where there is a bit more diversity and mixing between different ethnic groups. I want to be somewhere where people from different countries can make friends easily with one another. I think it’s important to learn from those who are from different backgrounds and cultures.